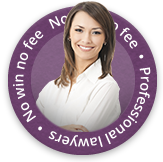 We help people to make successful claims for compensation on a regular basis. We’ve detailed below some of our success stories to give you an idea of how we could help you win your case. Andrew was walking in Bradford city centre with a friend when he tripped and fell on a raised manhole cover, injuring his foot, neck and shoulder. After instructing the team at First Personal Injury, he received £3,000. Read more about his claim here. Mrs. D was walking in a pedestrian area when she tripped on an uneven paving stone on the pavement and fell over. A pedestrian accident claim was brought against the local council who were responsible for the area. Mrs D sustained bruising and soft tissue injuries to her face, knee and leg and was expected to be fully recovered from her injuries within one year of the date of the accident. Mrs. D received damages of £2000 which included a 15% reduction for contributory negligence as she should or could have noticed that the defect was present. If you have suffered as a result of a slip, trip or fall, contact our team today to make a claim. Suzanne was walking along the pavement with her partner when she tripped on some uneven tarmac. As a result of the fall, she badly injured her left ankle, cut and bruised her right leg and cut her hand. The solicitors at First Personal Injury worked with Suzanne to secure her £4,375 in compensation. Read more about her case here. Mr. C was injured in a cycling accident that occurred in May 2008. He was riding his bike when he skidded in oil in the road which had leaked from the lorry in front of him. Mr. C fell off his bicycle and sustained a serious dislocation injury to his shoulder. His injury required steroid injections and eventually surgery. Due to his specialised physical job, Mr. C was unable to work for three years following the accident. In total, £65,000 was awarded in compensation. Mr. C. received £10,000 for his injury and the remainder reimbursed him for his loss of earnings, loss of pension, property damage, loss of shares and the medical costs associated with his injury. Mr. D was a passenger in a taxi which was involved in a road traffic accident when the Defendant entered a roundabout and hit the side of the taxi. Mr. D suffered whiplash and soft tissue damage in his back, neck and arm. Mr. D’s injuries lasted for approximately 9 months. He was assisted in his recovery by physiotherapy. After contacting First Personal Injury, Mr. D received £2800 in compensation. If you have been involved in road traffic accident and want to make a claim, contact our team of injury lawyers today. Gary was removing his grandson from the back seat of his parked car when he was hit by a reversing vehicle. He suffered a soft tissue injury to his lower back and bruised ribs. First Personal Injury helped Gary claim £3,400 in compensation. Read more about Gary’s pedestrian accident claim here.